Henry McDaniel, from Chicago Illinois, began playing the drums at the age of 3 years old. While attending Musicians Institute, Henry competed for and won the Stanley Clarke scholarship. Two months after winning the scholarship Henry, received the opportunity to go on tour with Stanley Clarke and George Duke. Henry toured nationally and internationally with the Clarke/Duke Band. Henry gained great experience and knowledge from the two legends, who took him under their wing, displaying true musicianship and professionalism. Before concluding his tenure with Clarke/Duke he received the call to play for major hip hop recording artist, Big Sean, where he still remains the current Drummer. 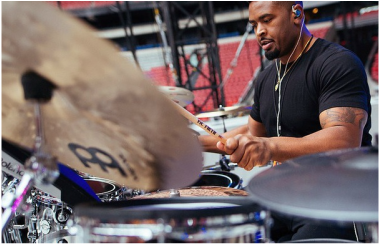 During the of summer 2016, Henry accompanied Big Sean to tour with Rihanna on the Anti World Tour.